According to the national Wedding Survey 2018 the average cost of a wedding in the UK has now reached £30,355. Cheap then. The astronomical cost isn’t your only problem, either, with weddings often supposed to rank as one of the happiest days of your life. The pressure to get this one right is immense. Whether you agree with that or not is immaterial, most people will go all out to impress family and friends and weddings themes are likely to play a large part in that. Thankfully for you picking a theme isn’t going to cost you a penny, it will simply guide the planning process. Invites, table decorations, cake and numerous other features will all fall under your selected theme and allow you to display your personality and put your stamp on the big day. Colours are going to be one of the most fundamental issues you’ll need to decide on and often are one of the easiest places to start when thinking about a theme for the day. The first influence over this choice may seem obvious but so often gets overlooked – when is your wedding? A spring wedding and an autumn wedding are unlikely to equally be able to carry off certain colour schemes. Wedding themes and colours are fundamental to each other, and fundamental to colour is season. Spring needs understated and light colours to reflect the fresh and youthful nature of the season. Similarly summer can best be represented by bright and cheerful whilst autumnal weddings should think of warm and cosy. Here are two wedding theme ideas to get you started. Keep in mind that these don’t need to be followed to the letter and are intended more as a spring board into your perfect theme. Play around a bit, add some things or remove things depending on your tastes and personality. Remember – this is your day and should reflect you as a couple. Perfect for spring or summer, think forest princess or vintage floral. Aside from the fact that organic, climate conscious and ‘at one with nature’ is red hot right now, it’s actually very affordable and allows you to think outside the box. For invites, think simple with green and floral themes. Leaves, blossoms and flowers are all things that evoke feelings of nature, freshness and light. That can be carried and expanded into dresses and head accessories with floral inspired pieces that can vary in colour from light browns to bright greens and mellow creams. 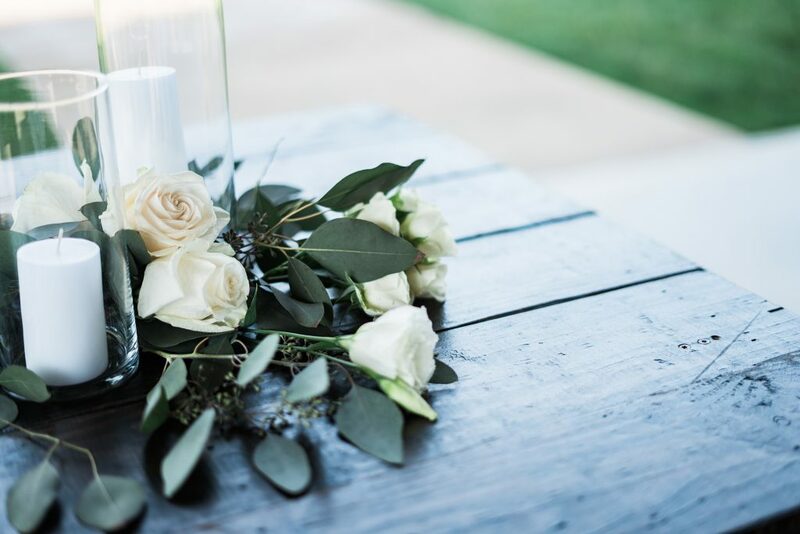 Table decorations, drinks, lighting, outdoor features, they can all be inspired and informed by your natural spring theme. This theme really lends itself well to DIY decorations too with materials and items coming cheaply but carrying much more authenticity than store-bought ready made place sings, for example. If you’ve ever been to one of The Botanist’s bars then you’ll know where we’re coming from here. Have fun with it and make it your own. Let’s be honest, festival weddings are done and dusted. If you’re still thinking of one then we kindly ask you to join us in 2018 from three years ago. That’s not to say that the basic elements of this wedding theme are done for, there’s a reason it was popular in the first place. Perfect for outdoor weddings (the government have promised to relax the law making these more affordable and accessible), this theme will see you feeling like an extra in a Mumford and Sons video, but with less terrible music. Think wooden for everything – chairs, tables, bar and venue – it will add to your simple and stylish cosy theme. String lights, mason jars and twine will add to the feelings of rural farmhouse too. Browns, creams and pastels will all work well with this theme. Invites are easily applied to this style, as are other decorations and accessories. Ideal for a summer or an autumn wedding, this will see you taking all the best parts of the festival wedding without the ridicule for making people camp in a field just to pretend they’re somewhere they’re clearly not.